Right, I suppose those website don't have the same tech than GMaps? It's the only service that has located me right in a laptop, not in a GPS device, even GSearch has located me in a wrong physical place but it seems that W10 has something to say about wrong Location service. Despite that, every time I had used OTurbo the IPlocation was in USA. In turbo may use diferent servers? Turbo uses different servers if this is what you're asking. 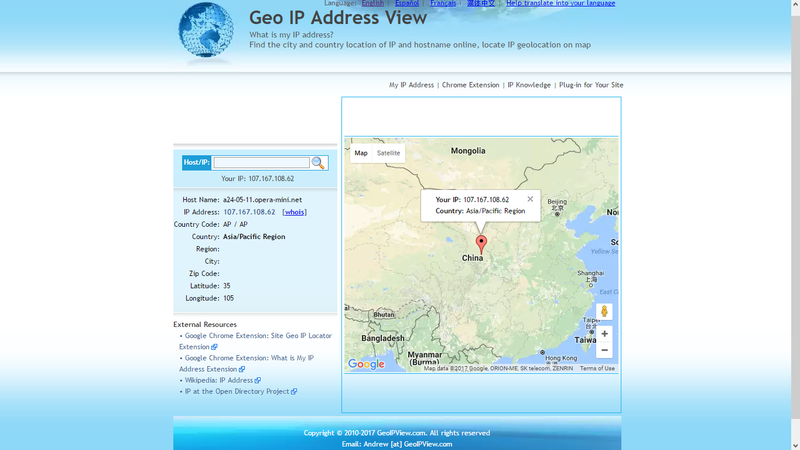 Which server will be assigned to the user may depend on where in the world the user is. Actually it was a kind of freaky thought about if the info (web pages) are sliced in many servers for fastest speed (because the different location places), but thinking a bit more it sounds a bit weird, thinking like this, replication sounds better. My own solution (at least temporarily) to this situation is as follows. I've been an Opera user since the late 90's and I'm not about to completely abandon Opera for another browser (i.e. Vivaldi, Chrome, Firefox, Edge) regardless of the benefits other browsers bring AS well as the fact that the Opera browser is now Chinese-owned. I will continue to use it for everyday browsing with two exceptions: buying and banking. I'm using the Avast Safe Zone browser for both since it essentially sandboxes the browser when doing either. This means that 95% of what I do online is with Opera and 10% with Avast. I suppose you could do the same with Bitdefender's Safe Pay feature as well.